You do not get into a marriage planning on a divorce. Separating from a spouse is not something that anyone enjoys and people certainly do not want to deal with the often dreaded alimony payments. Unfortunately, alimony payments, technically called “spousal maintenance,” are often going to be required in the aftermath of a divorce. The process of divorce and alimony can become very complex, especially considering the other issues that must also be dealt with in a divorce. The outcome can affect the financial livelihood of both parties involved, it is vital to secure a strong and knowledgeable attorney to help you through the settlement process. You may think that alimony payments are only made to women and made by men, but that is not necessarily the case. Times are changing and many women are becoming the main income earners in a marriage. Because of that, there are more and more cases of women having to pay alimony. Temporary Alimony is usually only ordered while a divorce is ongoing so that the dependent spouse can take care of their needs during the entire process. Transitionary Alimony is used to help the dependent spouse get on their feet by assisting them gain an education or get vocation training for a new job. Once the dependent spouse is economically stable, the payments typically stop. 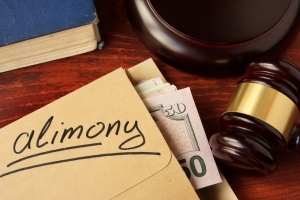 Permanent Alimony is the type of alimony most people think about when they hear “alimony.” These payments are usually made monthly to the spouse with less economic means. This type of alimony is typical after longer marriages and is meant to help the dependent spouse live a lifestyle similar to the one they had during the marriage. 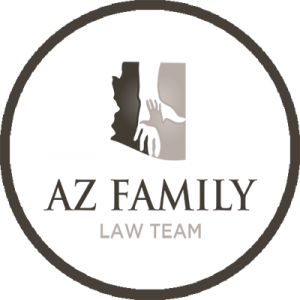 Click here for information on do you pay taxes on alimony in Arizona? The supporting spouse loses their job or gets a promotion. The receiving spouse remarries (this would typically end alimony payment requirements). The receiving spouse is in a relationship or lives with a new partner and is putting off marriage for the sole purpose of keeping their alimony. Adjustments cannot be made without going through the court system and can be just as complicated as the original alimony agreements. For that reason, an attorney may be necessary. Make sure you are getting enough if you are the receiving spouse. Make sure you are not being forced to pay too much if you are the paying spouse. Help you with any adjustments that need to be made to payments. Ensure that all other parts of your divorce settlement are taken care of as well.